Concerns left atrium, which, in turn, increases blood pressure in the vessels leading from the lungs to the heart. This results in lung congestion (fluid buildup). In the past, rheumatic fever was the most common cause of this condition. But with the advent of antibiotics, rheumatic fever is now rare in the United States, and the few cases that are seen are primarily in older people who had rheumatic fever in childhood. A more common cause of mitral valve regurgitation today is a heart attack, which can damage the supporting structures of the mitral valve. Mild cases of mitral valve regurgitation may not cause any symptoms. The condition may be recognized during a routine chest examination with a stethoscope, when a doctor hears a distinctive heart murmur caused by the blood leaking back into the left atrium when the left ventricle contracts. Diagnosis usually is confirmed by electrocardiography (ECG; an examination of the electrical activity of the heart) and chest X rays that indicate the left ventricle is enlarged. Echocardiography (an ultrasound examination of the heart) can produce an image of the faulty valve and indicate the severity of the problem. Since the left ventricle has to pump more blood to make up for the blood leaking back into the atrium, it gradually enlarges to increase the force of each heartbeat. The enlarged ventricle may cause palpitations (awareness of one's heartbeat), which is particularly noticeable when the person lies on his left side. The left atrium also tends to enlarge to accommodate the extra blood leaking back from the ventricle. A very enlarged atrium often beats rapidly in an irregular fashion (atrial fibrillation). This reduces the heart's pumping efficiency, and the lack of proper blood flow through the atrium allows blood clots to form. If a clot becomes detached, it may be pumped out of the heart and block a smaller artery elsewhere in the body, possibly causing a stroke or other damage. Finally, severe regurgitation reduces the forward flow of blood, causing heart failure, which may lead to coughing, swollen legs, or shortness of breath on exertion. Treatment for this condition can take several forms. Repairing the valve can either eliminate or reduce the regurgitation enough to make the symptoms tolerable and prevent heart damage. Atrial fibrillation accompanying mitral valve regurgitation is usually treated with medications that slow the heart rate and help control the fibrillation. In severe cases, the valve may be replaced surgically. Mitral valve stenosis is a narrowing of the mitral valve opening that increases resistance to blood flow from the left atrium to the left ventricle. This resistance causes pressure to build up in the atrium; the pressure then backs up through the veins of the lungs, causing increased pressure and congestion in the lungs. The increased stress on the lungs can lead to shortness of breath and eventually to congestive heart failure. 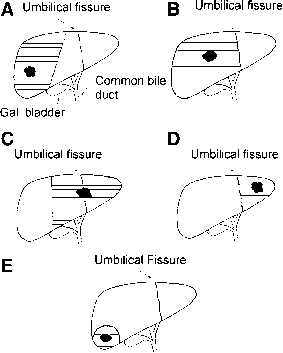 Typically, the valve leaflets fuse together. Surgery is needed to widen or replace the valve. Concerns rare today in the United States, where most cases occur in older people who had rheumatic fever during childhood. However, rheumatic fever can sometimes occur after an untreated "strep" throat infection (infection with streptococcal bacteria). Mitral valve stenosis also can be congenital (present from birth). Infants born with this condition rarely live beyond age 2 unless they have surgery to correct the condition. If stenosis is severe, blood pressure increases in the left atrium and in the veins in the lungs, resulting in heart failure and an accumulation of fluid in the lungs (pulmonary edema). A person with heart failure easily becomes fatigued and short of breath. At first, shortness of breath may occur only during physical activity. Later the symptoms may occur even during rest. Some people find that they can breathe comfortably only when they are propped up with pillows or sitting upright. Some people with mitral valve stenosis have a plum-colored flush in their cheeks. High blood pressure in the veins of the lungs may cause a small vein or tiny capillaries to burst and bleed slightly or massively into the lungs. Enlargement of the left atrium can result in atrial fibrillation (an abnormally fast heartbeat). To diagnose mitral valve stenosis, a physician uses a stethoscope to listen for a characteristic heart murmur as blood rushes through the narrowed valve from the left atrium. Unlike a normal valve, which opens silently, a valve affected by mitral valve stenosis often makes a snapping sound as it opens to allow blood into the left ventricle. The diagnosis of mitral valve stenosis is usually confirmed by electrocardiography (ECG; an examination of the electrical activity of the heart), a chest X ray showing an enlarged atrium, or echocardiography (an ultrasound examination of the heart). Sometimes cardiac catheterization (a diagnostic test in which a thin, flexible tube is inserted into the heart through a blood vessel, to examine the heart) is performed to determine the extent and characteristics of the valve blockage. Treatment for mitral valve stenosis may include a variety of drugs. Beta-blockers, digoxin, and verapamil are used to slow the heart rate and control atrial fibrillation. Digoxin also strengthens the heartbeat if heart failure occurs. Diuretics are often prescribed to reduce the blood pressure in the lungs by reducing the volume of circulating blood. If medication does not reduce the symptoms adequately, surgical valve repair or replacement may be needed. People with mitral valve stenosis are given antibiotics before dental and surgical procedures to reduce the risk of a heart valve infection. Aortic stenosis is an abnormal narrowing or stiffening of the aortic valve, which controls the flow of blood from the left ventricle to the aorta (the main artery of the body). As the valve narrows, the left ventricle has to beat harder to push the blood through the aorta and out into the body. The most common cause of aortic stenosis is the gradual buildup of calcium deposits on the valve, a natural consequence of aging. Although this condition may appear at about age 60, it usually does not produce symptoms until age 70 or 80. Aortic stenosis also may result from childhood rheumatic fever. When rheumatic fever is the cause, aortic stenosis usually is accompanied by mitral valve stenosis (see page 227), mitral valve regurgitation (see page 226), or both. In aortic stenosis, as the ventricle attempts to pump enough blood through the narrowed aortic valve, the left ventricle wall thickens, and the enlarged heart muscle requires an increasing blood supply from the coronary arteries. Eventually the blood supply to the heart becomes insufficient, causing angina (chest pain) on exertion. An insufficient blood supply can damage the heart muscle, reducing its ability to pump blood through the body. 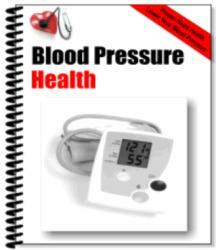 This reduced functioning can lead to congestive heart failure (see page 233). A person with severe aortic stenosis may faint on exertion because the narrow valve prevents the ventricle from pumping enough blood out of the heart to the rest of the body. In diagnosing aortic stenosis, a physician will listen for the characteristic heart murmur through a stethoscope, note abnormalities in the pulse and electrical activity of the heart, and look for an enlarged heart as revealed by a chest X ray. Electrocardiography (ECG; an examination of the electrical activity of the heart), echocardiography (an ultrasound examination of the heart), and cardiac catheterization (a diagnostic test in which a thin, flexible tube is inserted into the heart through a blood vessel, to examine the heart) may be used to determine the severity of the stenosis. In adults with fainting, angina, and shortness of breath on exertion caused by aortic stenosis, the aortic valve is surgically replaced, preferably before the left ventricle is damaged beyond repair. In cases of a diseased or damaged valve, surgery may be required. Although it is sometimes possible to repair the valve, usually it is necessary to replace it. A replacement valve that is no longer working properly also must be replaced with a new valve. Replacement valves can be made from human or animal tissue (biologic replacement valves) or from metal and plastic (mechanical replacement valves). Although mechanical valves last longer (20 years or more) than biological valves, they also can promote blood clot formation. This means that a person with a mechanical heart valve needs to take long-term therapy with blood-thinning medication to prevent blood clots from forming. In valve replacement surgery, the person is given general anesthesia. The surgeon opens the chest cavity and exposes the heart (open heart surgery). The heart is temporarily stopped, and a heart-lung machine is used to pump blood throughout the body. The diseased or damaged valve is removed, and the replacement valve is put in position and attached with stitches. The surgeon then restarts the heart and disconnects the heart-lung machine. The chest cavity is closed and stitched together. To prevent a heart valve infection, a person with a replacement valve must take antibiotics before all dental and surgical procedures.